Mixvibes DVS used a revolutionnary and innovative technology which ensure to feel THE geunine vinyl feeling with digital audio files. It is the only product that allow to control pc with turntables or cd players WITHOUT any specific hardware and so can drop price! 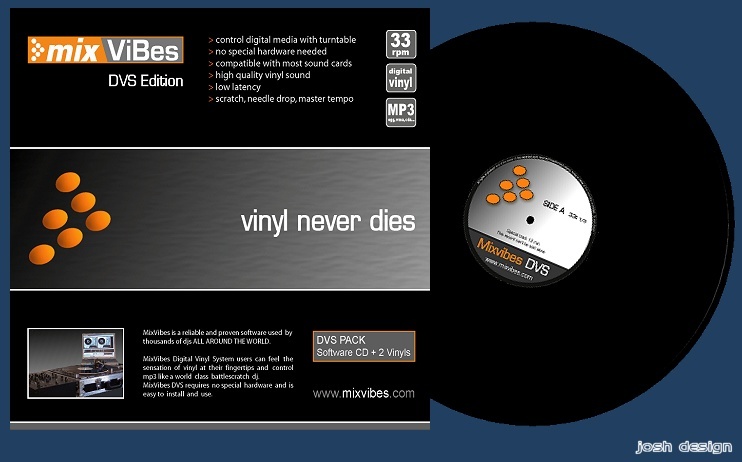 Dj Eanov says: "Mixvibes DVS is amazing !" The vinyl sound is great, and low latency allows a instant reaction time. For scratching or beatmixing, Mixvibes DVS is great!